“In my country, you go to prison first, then become president,” so spoke Nelson Mandela, a prisoner for 27 years and the first black president of South Africa. A Nobel Peace Prize winner, and recipient of literally hundreds of other international honours, you’d be forgiven for thinking there wasn’t much more that could be said about him. But today a new exhibition is opening at the 26 Leake Street gallery in Waterloo, London, to celebrate this most storied of statesmen. 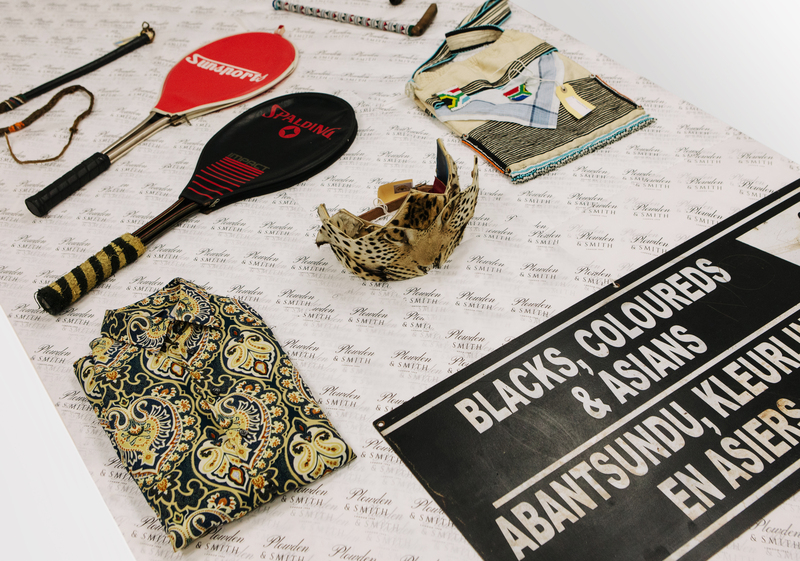 Mandela: The Official Exhibition showcases everything from his gloriously garish shirt collection to his personal tennis racket. 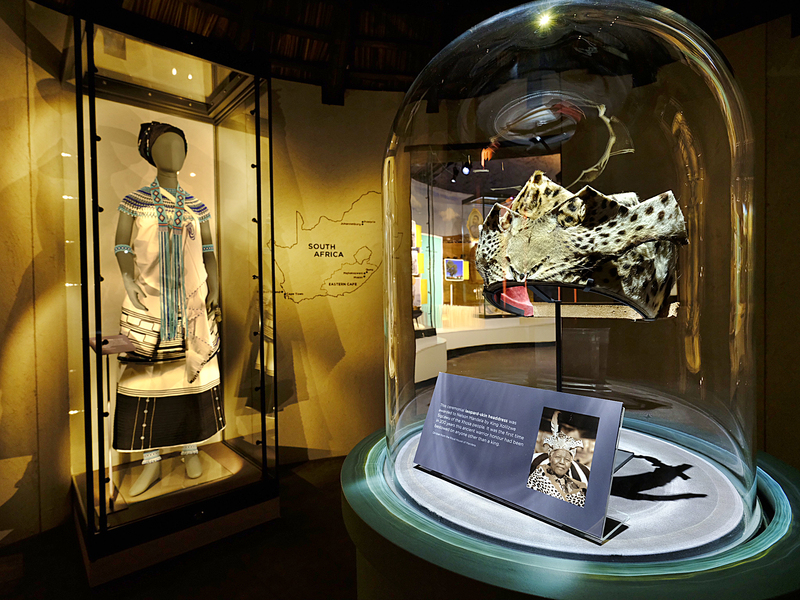 Also on show is a leopard skin headdress awarded to Mandela by King Xolilizwe Sigcawu of the Xhosa – making him the first non-king to receive the honour in 200 years. 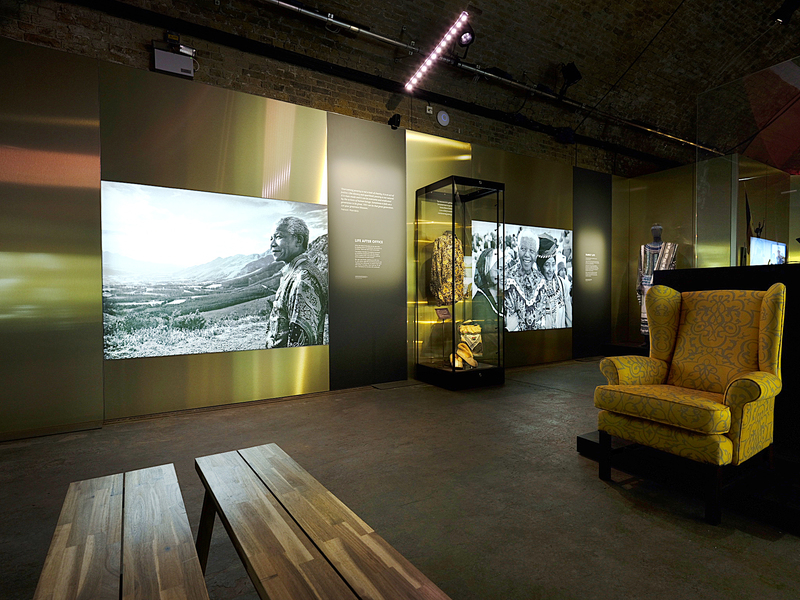 The exhibition promises to take visitors on a personal journey through the life of the world’s most iconic freedom fighter and political leader, celebrating his life and legacy. It opens a few days before what marks the 29th anniversary of his release from prison, February 11, 1990. The Father of the Nation spent more time in ‘The Mother City’ than anywhere else, but most of it wasn’t voluntary. His incarceration here spanned 27 years and three different prisons – including 18 years in Robben Island off its coast – cementing his status as an everlasting symbol of what it means to truly suffer for your cause. Pollsmoor is still a functioning prison so sightseeing opportunities are limited, but curious travellers can grab a beverage in a prison cafe staffed entirely by inmates. The Drakenstein Correctional Centre oversaw Mandela’s final years behind bars and it’s also still operational. However the private house that Mandela stayed in has been declared a World Heritage Site, and a statue of Mandela stands, fist raised in triumph, outside the complex gates. 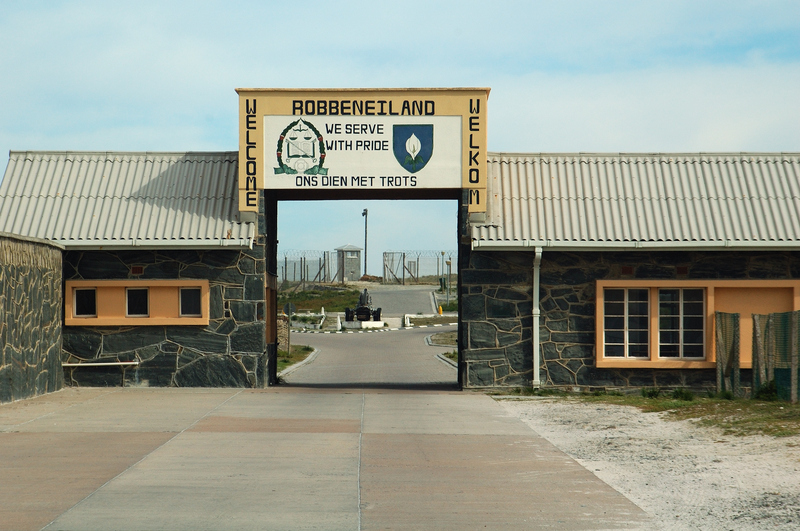 But the main draw for tourists is Robben Island, a Guantanamo-esque island fortress 9km off the coast. It’s must-see stuff – tours take in Mandela’s tiny stone cell, the quarry which hosted his hard labour, and panoramic views stretching back towards Table Mountain. “Do not judge me by my successes,” Mandela once said, “judge me by how many times I fell down and got back up again.” Cape Town is the perfect place to see just how many times that was. A boundless metropolis with a stark wealth divide and volatile reputation, Johannesburg lay at the heart of the anti-apartheid struggle for many years. The city centre hosts Chancellor House – briefly home to Mandela & Tambo, the first law firm in the country to be owned by black partners, now a museum celebrating the achievements of its former residents. When Mandela was arrested in 1956, he and 155 other activists were held briefly in the Old Fort at Constitution Hill. “It was,” quipped Mandela in his autobiography, “the largest and longest unbanned meeting of the Congress Alliance in years.” It too is now a museum. But the must-visit place is Liliesleaf Farm – an otherwise unobtrusive venue in the northern suburbs that served as a secret HQ for Mandela and the African National Congress until it was raided by the police in 1963. Guests can enjoy free tours of the premises, or explore the site’s interactive exhibits at their own pace. Went on driving tour through Soweto and visited Mandela’s home. Soweto was so much different than I anticipated. Ok, so technically Soweto is now a suburb is Johannesburg, but this sprawling township has its own distinct history and a strong sense of identity. Almost synonymous with the apartheid struggle, these crowded streets bore witness to the Soweto Uprising in 1976, during which a 12-year-old boy was shot dead by police. Today Soweto claims to have the only street in the world to have hosted two Nobel laureates. The “matchbox house” at 8115 Vilakazi Street, was once the residence of Nelson Mandela, while Archbishop Desmond Tutu’s former dwelling lies just down the road. Though safer than it used to be, we recommend a bike tour with a local guide for an immersive experience in Soweto. The sleepy Midlands town of Howick does not seem like a place that’s been touched by the hand of history. Indeed, the verdant grasslands and wide, white-brick boulevards now host a cluster of retirement villages, rather than any illicit political activity. But it was in Howick – or to be more accurate, just outside it – that Nelson Mandela was arrested for the final time in 1962. The historic spot is marked by the Nelson Mandela Capture Site – featuring a soon-to-be-opened visitor centre and art installation of iron poles, which, if viewed at the right angle, construct a portrait of Mandela’s face. That pretty much sums up Qunu and Mvezo – respectively Mandela’s childhood home and birthplace. In his autobiography he described Qunu as a few hundred people living in huts with mud walls and little has changed besides building material, there’s still a very traditional way of life here. When visiting Qunu, it is easy to imagine a 10-year-old Mandela trotting down the track to school and you can also go to the Nelson Mandela Museum. Mvezo is much the same – a tiny settlement a little way south from Qunu, which time has very much forgotten. Tickets for Mandela: The Official Exhibition in London cost £15 for adults. For more information visit Mandelaexhibition.com.